I made this cake weeks ago to bring to a friend’s house over Chinese New Year. For a while I wasn’t sure if I was gonna share the recipe, but I revisited it the other day as my dad’s quite a fan. Also, as I’m going through my Passionfruit Period, I have quite a store of the fruit in my house I needed to use up. 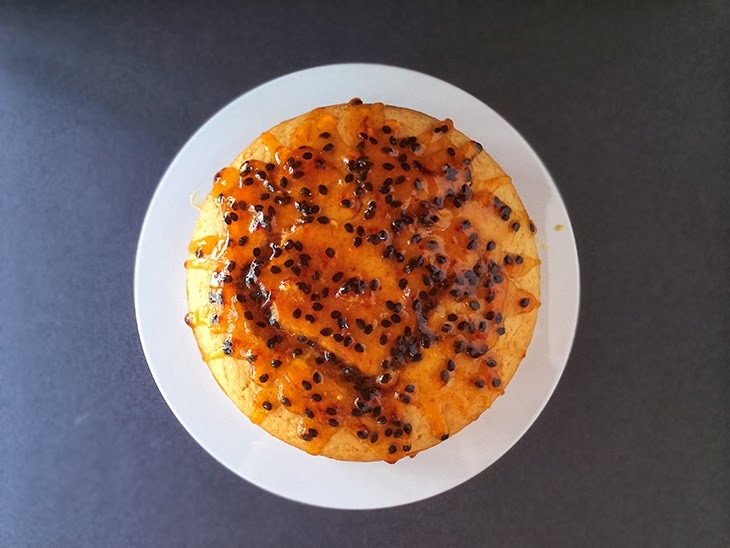 I think this may be the last passionfruit recipe I share for a while (or maybe not). 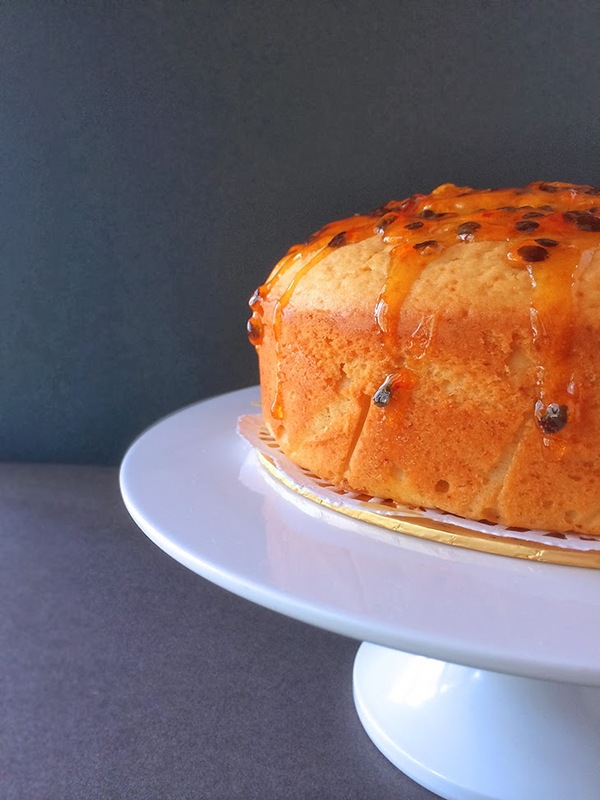 This cake is soft and light, with a sweet and slightly tangy passionfruit glaze on top to give it a twist. Perfect for afternoon tea with a bitter black tea or coffee. It’s also a super easy recipe to whip up at the last minute for a friend’s do. I don’t remember where I got this recipe, but have had this in my book for ages now… if anyone knows it’s origin, please leave a comment and I’ll edit it in. Thanks! I would recommend serving this cake fresh upon the day of baking, as it’s soft and moist still. I’ve baked this in the past for my dad and mum put it in the fridge overnight, which of course just resulted in drying it out. I’m not a fan of refrigerating cake unless absolutely necessary.